Oy! Do We Have A Chanukah For You! 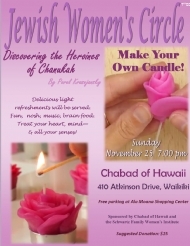 Schofield Barracks Chanukah Celebration, Monday, Dec. 3, 6:00 pm. 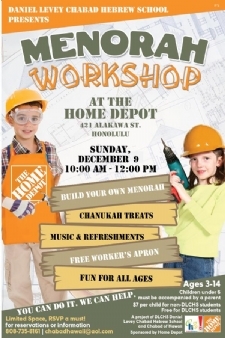 Need a menorah? Candles? Gifts? Gelt? Tchatchkes? Come see us - we have them all!